Ahead of the ICC Champions Trophy 2017 we look at five England players to watch out for – Jos Buttler, Ben Stokes, Mark Wood, Joe Root, Jason Roy. England wicketkeeper-batsman Jos Buttler has a reputation of being a devastating hitter, and his vast experience of English conditions sets him up as a major force for the home team. The 26-year-old is the owner of the fastest ODI century by an Englishman, off just 46 balls, and could well be the game-changer for them in the Champions Trophy. His form has been critical to the team’s ascendancy as an ODI force since an early exit from the 2015 World Cup, as evidenced by some stunning assaults. Most recently, Buttler opened the innings for Mumbai Indians in the IPL with a best of 77 from just 37 deliveries in a breezy chase of 199 against Kings XI Punjab. England allrounder Ben Stokes was named the IPL’s Most Valuable Player and lived up to his billing as the most expensive overseas player in IPL history, averaging 31 with the bat at a strike-rate of 142.98 and taking 12 wickets while striking every 22 deliveries. This form helped his side Rising Pune Supergiant to second in the league stage before Stokes returned home. Fans of the England team will hope that Stokes – who won three Man-of-the-Match awards in the IPL – can translate that form into the Champions Trophy. One of England’s quickest bowlers, Mark Wood is targeting the Champions Trophy as a vehicle to more opportunities in the ODI format after recently returning from another injury setback. Wood has been asked to bring his fast pace to boost England’s chances of winning the tournament, and said after his recall that he aspired to be one of the game’s most feared bowlers. Wood, 27, has played 13 ODIs from which he has taken 15 wickets with a best haul of 3/36. The vastly talented Joe Root averages 48.81 in ODIs – with nine hundreds – and if he extends the good start to the home summer he’s had then England will not be pushovers. Root scored 49* and 73 in two ODIs against Ireland this month, and was used as a spin bowler. He claimed five wickets and admitted that he relished the chance to bowl more, and hoped to be able to contribute more as a bowler. The attacking England opener Jason Roy needs no introduction. During last year’s ICC World Twenty20 held, he hit 183 runs at a strike-rate of 148.78 and played two destructive innings: the first, 43 off 16 balls to kick-start England’s record chase against South Africa, and the second 78 off 44 balls to hasten a chase of 154 over New Zealand in the semi-final. In January, Roy had scores of 73, 82, 65 in three successive ODIs against India followed by 19, 10 and 32 in the T20I series and then 17, 52 and 13 in the West Indies. With an ODI strike-rate of 103.24, and a highest of 162, the 26-year-old is capable of delivering England some power-packed starts in the presence of Alex Hales. 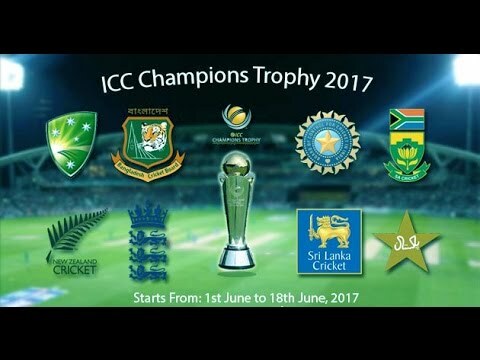 Be the first to comment on "ICC Champions Trophy 2017: Five England players to watch out for"